Jess Worth on flourishing primates in Peru. 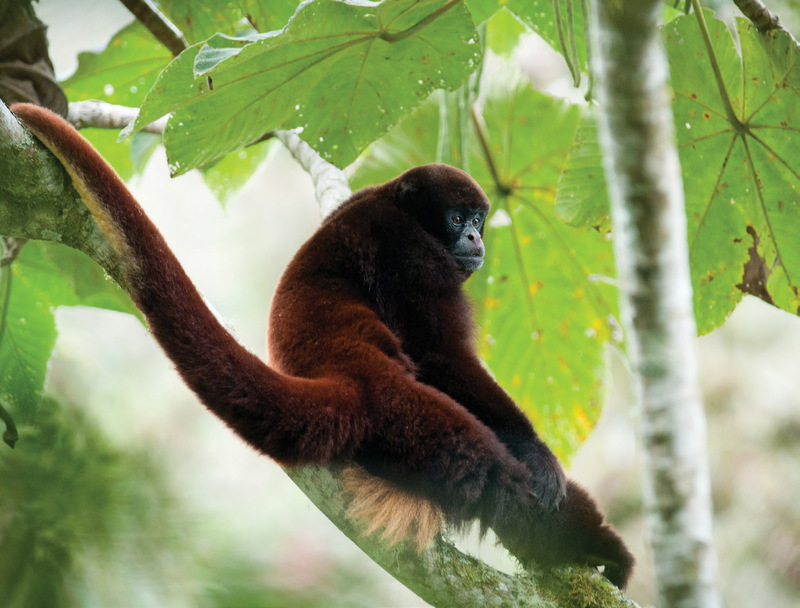 Things are looking up for the yellow-tailed woolly monkey, thanks to its human neighbours. A critically endangered species of monkey is flourishing, thanks to the combined efforts of local communities and a conservation charity in Peru. Neotropical Primate Conservation (NPC) has worked in Yambrasbamba to protect the yellow-tailed woolly monkey, which was facing extinction, since 2007. In the last five years, the monkey population has risen 30 per cent. The charity puts its success down to the partnerships it has forged with local villagers, who have pledged to control hunting and forest clearance. ‘Local people understand environmental problems from their own first-hand experiences,’ says Noga Shanee, co-founder of the small charity. ‘They are putting in a huge amount of effort, spending the little money they have, and even risking their own lives to conserve their forests and the yellow-tailed woolly monkey, because they find it the right and moral thing to do.